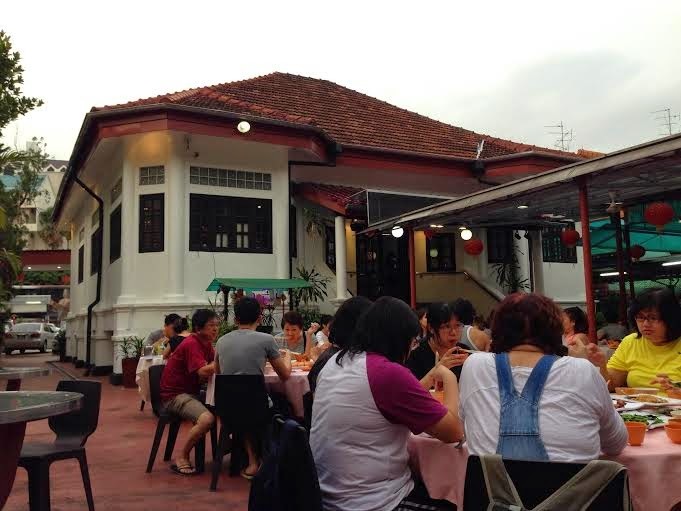 Located on Upper East Coast Road, Hua Yu Wee is the last remaining restaurant after the Singapore Government relocated restaurants in the area back in 1977, after the 1970's land reclamation project. This restaurant has a very laid back feel to it. There is seating indoor and alfresco dining out the back. If you walk to the rear of the property there is a fenced off area. We went to have a look, and could imagine looking out to sea, and the beach being right on the doorstep. Now onto the food. 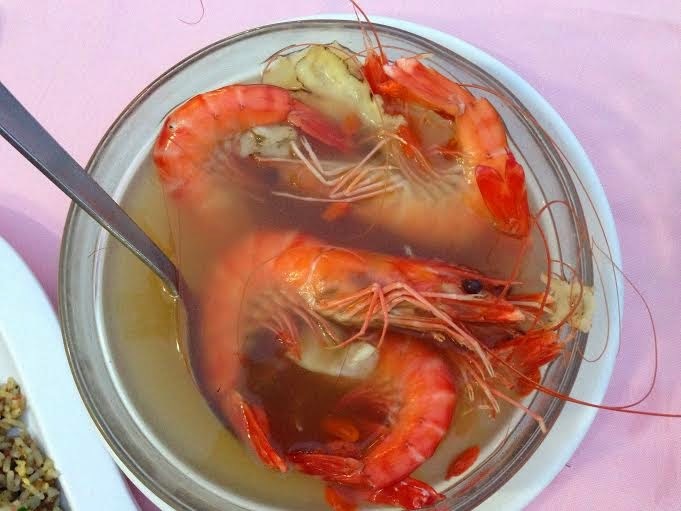 First up we had drunken prawns, which came in a herbal broth. We were amazed at how fresh the prawns were. Nice and juicy and sweet. 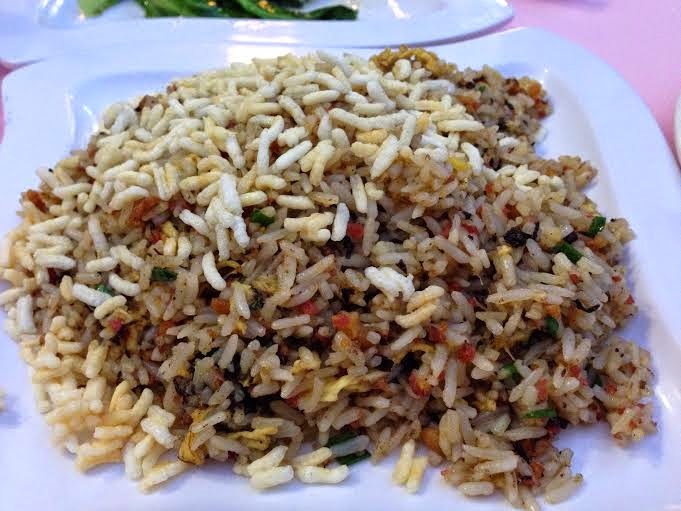 Next up we had olive fried rice, which came topped with a 'rice-bubble' sort of topping. Very interesting. This dish was cooked just nicely, not too salty and with very good 'wok-hei'. We would've like the bits of olive to be a little bigger so that we can taste it. No meal is complete (we reckon) without vegetables. 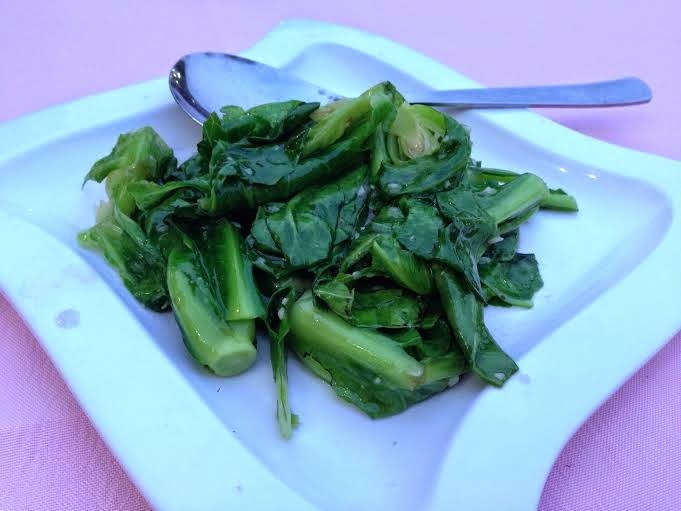 We order baby kai-lan stir fried with garlic. This half of a crispy duck was cooked to perfection. 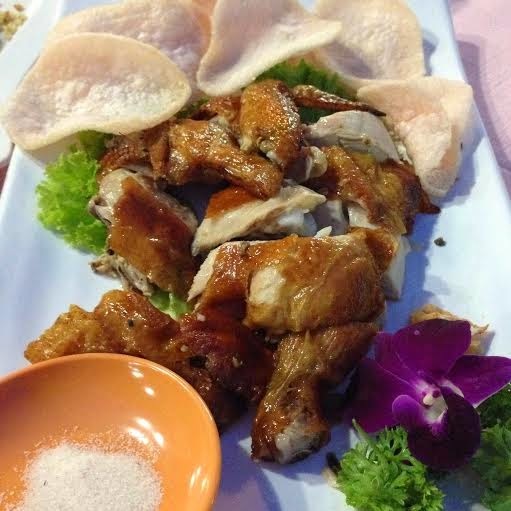 The skin wasn't overly crispy and the chicken meat not too dry. The prawn crackers weren't as crispy when we got them, as the humidity got to them first! Tip: every taxi driver should know where this restaurant is located. Just mention "Hua Yu Wee" and they should know where to go. sounds great! Love the look of those prawns!! It was delicious! Can't wait to go back and sample more food!